Auctioneer David R. Maltz & Co. handled the sale of fraudster Marc Dreier's One Beacon Court condo, and now the firm is scheduled to unload another sensitive piece of Manhattan property. Scottsdale accountant Dan Wise was arrested in April for devising a $67 million Ponzi scheme that swindled folks into thinking they were making solid real estate investments. In fact, they were unknowingly investing in Wise's personal real estate stash, such as #18F in Midtown's snazzy Museum Tower, an apartment now headed for bankruptcy auction on Thursday, Oct. 22. 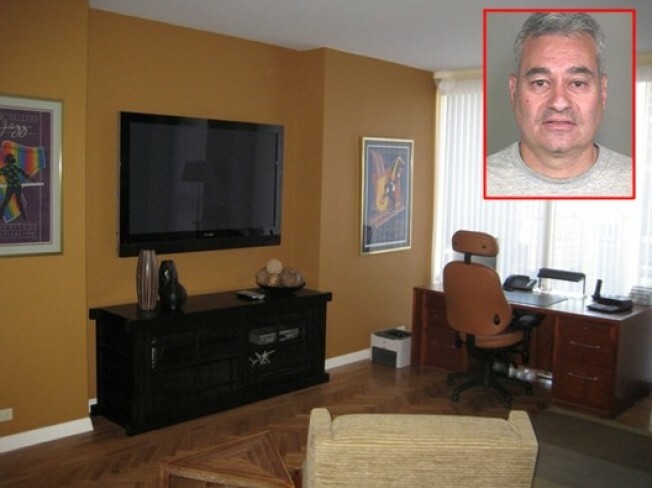 Wise and his wife bought the condo at 15 West 53rd Street in 2006 for $1.45 million. It's a 1BR, 1.5BA unit with 1,204 square feet and floor-to-ceiling windows. The 52-story Museum Tower is best known for its landscaped roof terrace overlooking the Museum of Modern Art's sculpture garden, as well as a handful of pieces (including a Picasso) permanently on display in the building's lobby. The suggested opening bid is $750,000. While the auction is being held at 1515 Broadway, if you happen to find yourself in Wise's old pied-a-terre during the madness, there's proof in the photo gallery that the apartment has a comfortable and secluded place to collect your thoughts and phone in a bid. The guy thought of everything!